I love this little Stanley no. 18. 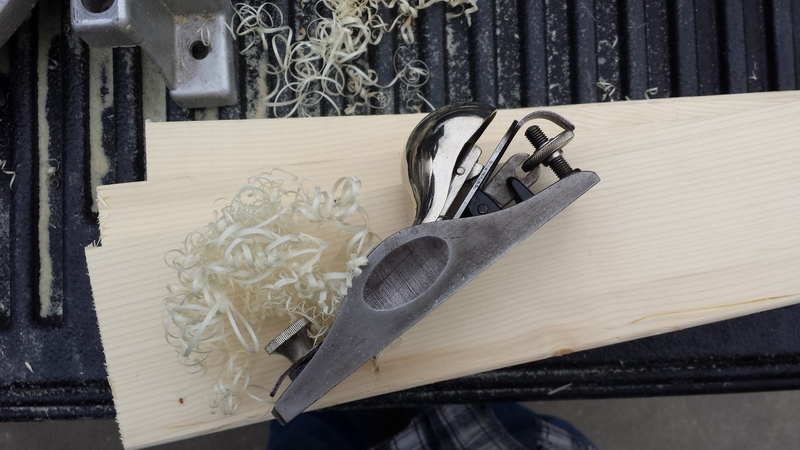 It’s my first go-to for anything a block plane might be able to handle. It dates from the 1910s (V Logo), and is as close to mint condition as a 100 year old plane can be. The nickel plating on the cap is p e r f e c t, and the japanning 100%. Aside from a little patina on the cheeks, it looks like it just came out of the box. The Sargent no. 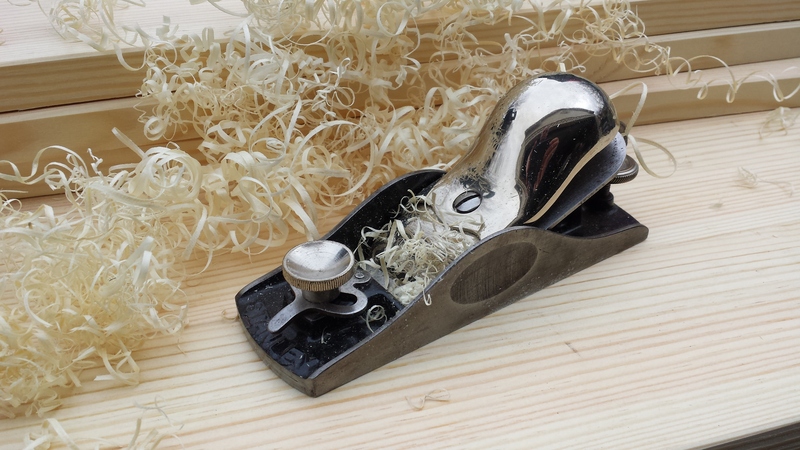 514 Low Angle Block Plane was Sargent’s answer to the Stanley no. 62. Manufactured from 1913 to 1935, the 514 is almost identical in outward appearance. Like the Stanley no. 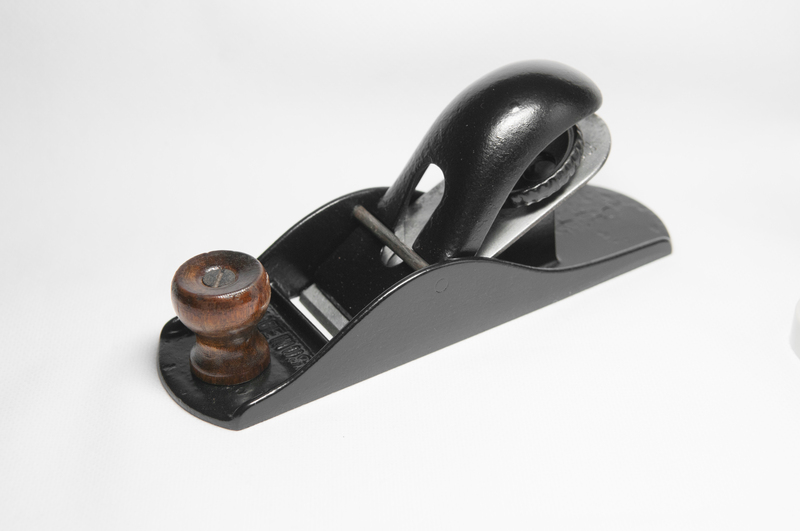 62, this plane features an adjustable mouth and a similar horizontal depth screw adjustment. It differs, however, through its unique lateral pivot adjustment that enables the cutter to be adjusted laterally despite it’s extreme low angle. This adjustment design was patented by Albert A. Page on March 17, 1914. The depth adjustment knob screws into a cylinder that free floats vertically in a two sided raised boss in the main body casting. 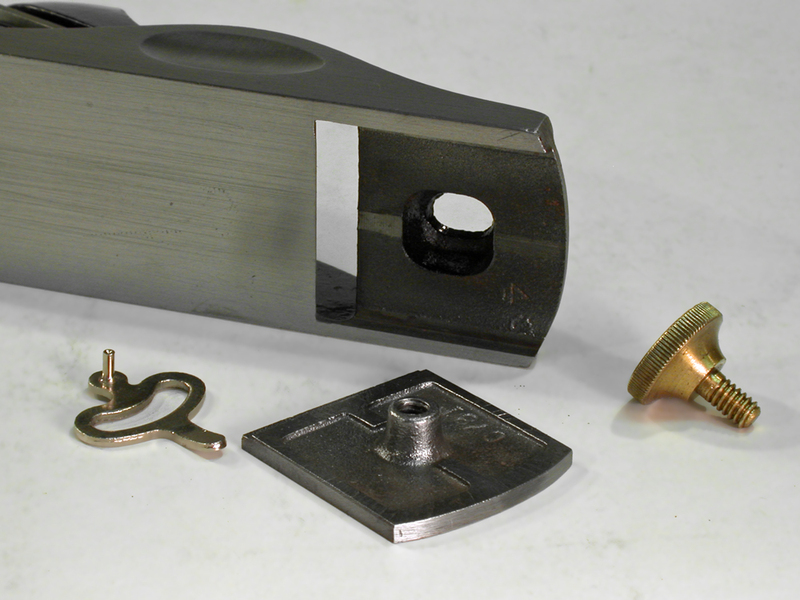 The depth adjustment bolt threads through this cylinder and pivots in a range limited by the two sides of the boss, enabling the lateral adjustment. 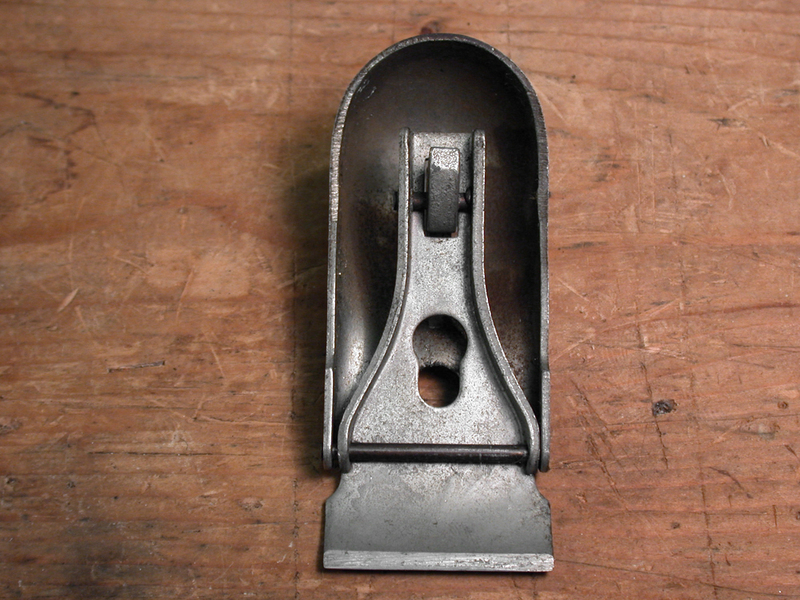 A U shaped attachment on the back side of the iron fits into a notched area of the depth adjustment lever between the threads and the knob, providing for depth adjustment. 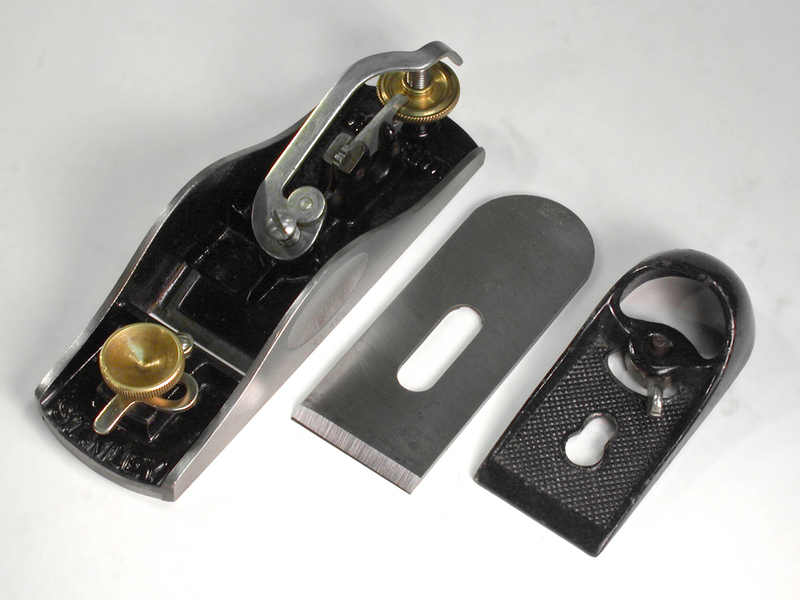 The design is very clever and offers good stability, and is superior to the Stanley no. 62, in my opinion. Like the no. 62, the mouth of the no. 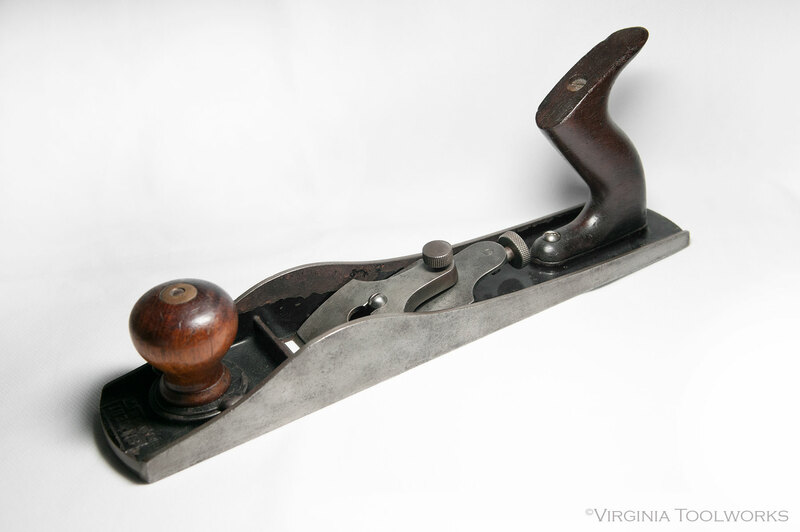 514 is also adjustable, using Henry Sargent’s same April 26, 1906 patented design featured on Sargent’s other block planes. 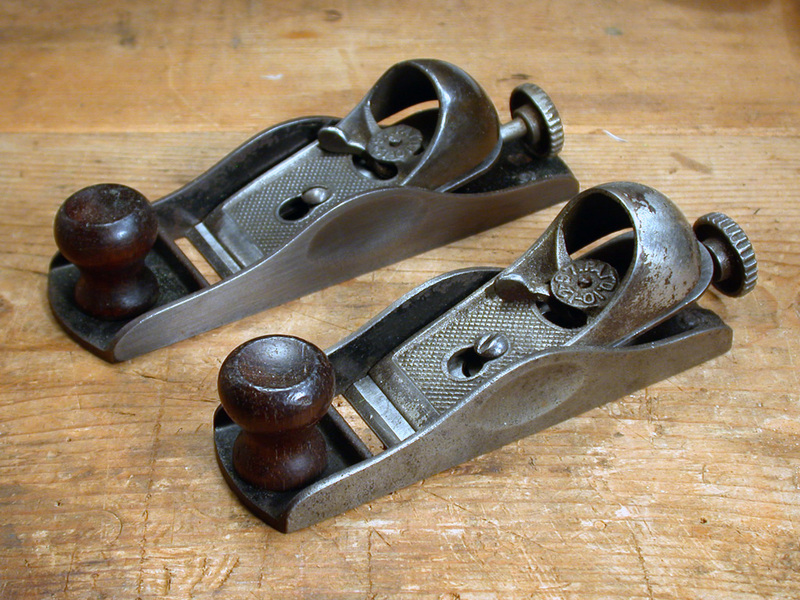 The front mahogany knob threads into the sliding toe section of the sole through an adjustment disk with two raised oval thumb lugs integrated into the casting opposite each other. By loosening the mahogany knob, the disk is grasped and the plate positioned forward or backward using the oval thumb lugs, thereby adjusting the size of the mouth opening. I find this a more precise method than the eccentric lever found on the Stanley planes. 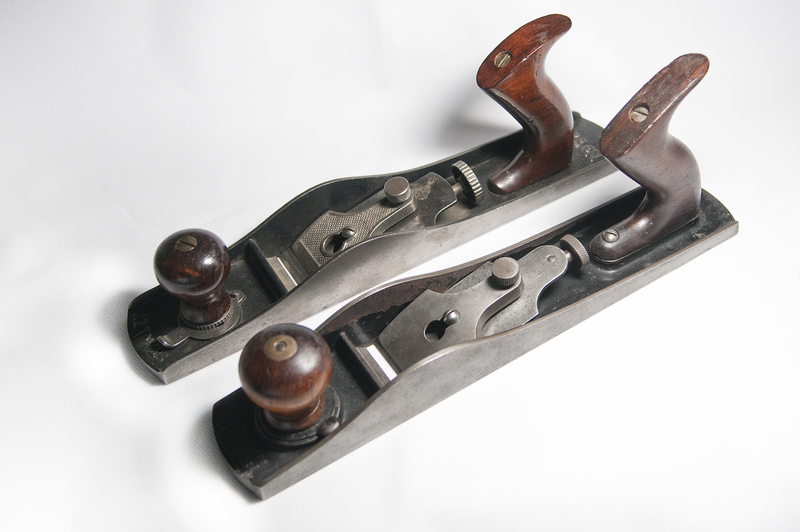 For more information on Sargent Planes including the #514, I strongly recommend Don Wilwol’s fantastic reference book, The Sargent Hand Plane Reference Guide for Collectors and Woodworkers! 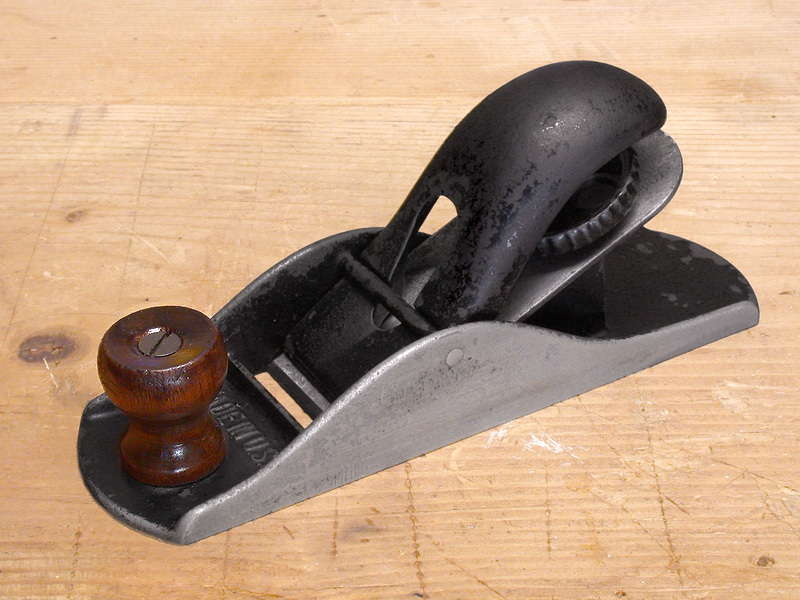 This old Sargent Hercules block plane, a clone of the Stanley 110, belonged to my dad and is one of just a couple of his tools that I have. 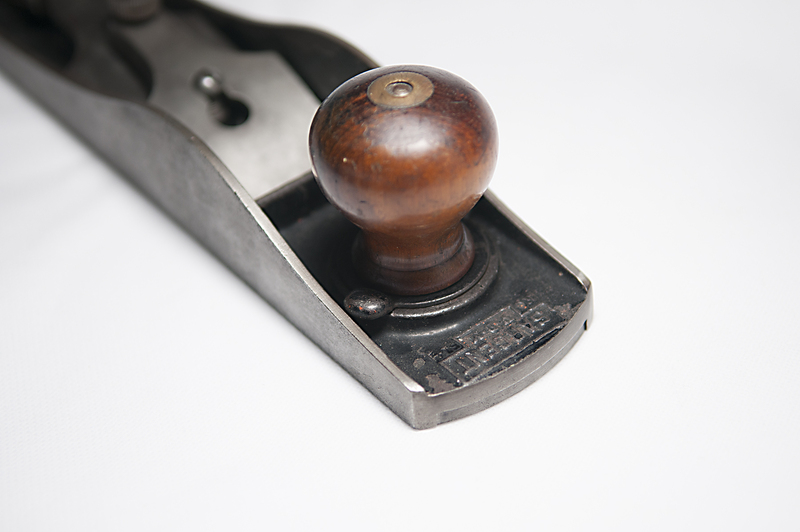 The Hercules was Sargent’s lower priced line of ‘handyman’ or value tools. This particular plane lived its life in our outdoor shed and was in pretty rough condition when I got it 8 years ago. I first restored it in 2008, but was never happy with it. At the time, I resisted repainting it, as I do with almost all tools, but so much of the original finish was gone that even after oxidizing, it was lifeless and dull. In this case, the only way to get it back to anything resembling its original look was a full on refinishing. The plane has practically no monetary or utility value, and I figured even if I painted it and later changed my mind, stripping it would leave it no worse off than it was to begin with. So last week, I repainted the body with black enamel, including the cheeks, which were apparently japanned or painted to begin with. After a couple of hours of baking in the oven, the paint came out very hard and should be reasonably durable, not that I will be using this plane for much of anything. Now that it’s all said and done, this old Sargent once again looks pretty good. I think dad would approve. The Sargent no. 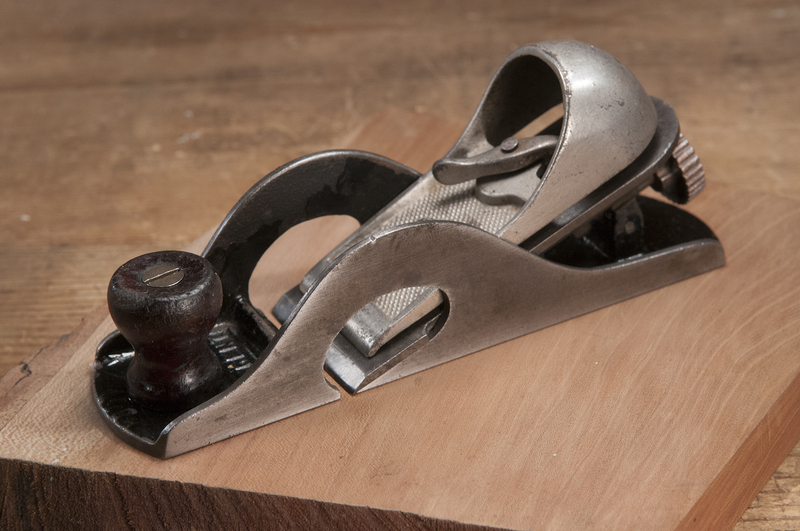 507 Rabbet Plane with its open arches on each side is one of the more unusual and interesting block planes ever made. From both a functional and design standpoint, it is reminiscent of a Stanley no. 10, but in a 7 inch block plane. 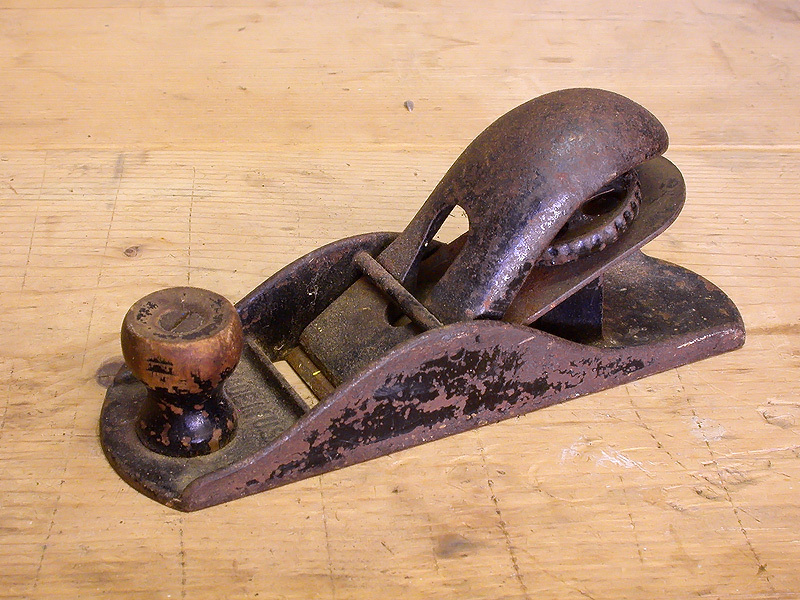 Stanley, however, never made a comparable model to this plane. The closest they came was with the no. 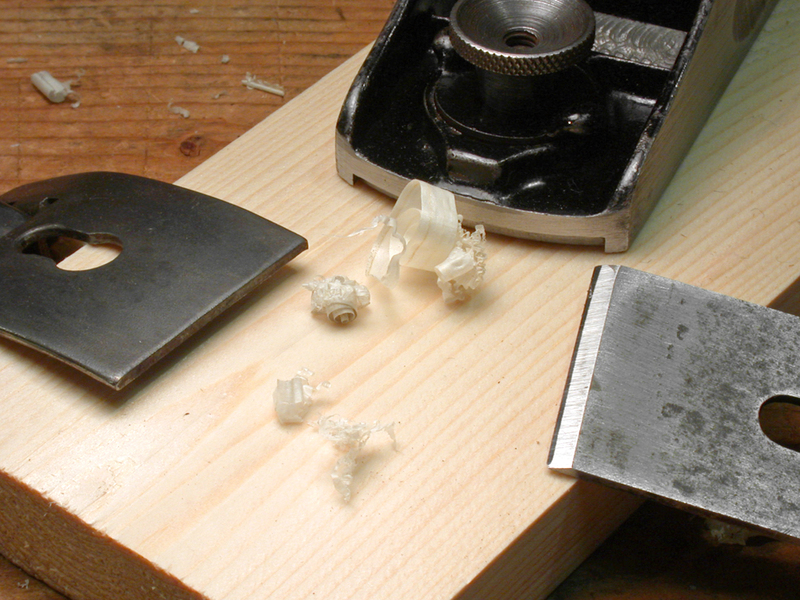 140 Skew Angle Block with a removable side, enabling it to function as a rabbet plane. Like the Stanley no. 140, the Sargent no. 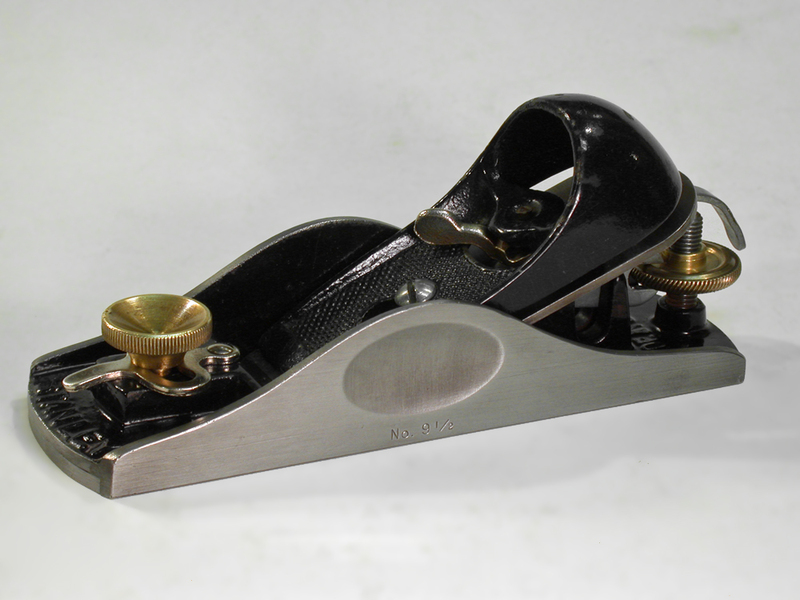 507 can function as both a rabbet plane and a normal block plane. Manufactured from 1919 to 1947, the no. 507 is a very functional, albeit somewhat fragile design. The cheeks are easily cracked or broken if the plane is dropped or mishandled. 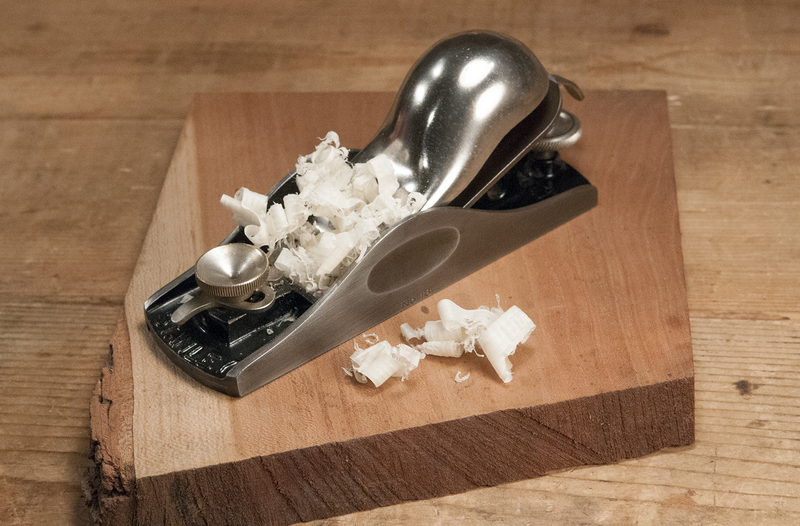 However, used with care, this is one of the most functional of all specialty block plane designs. 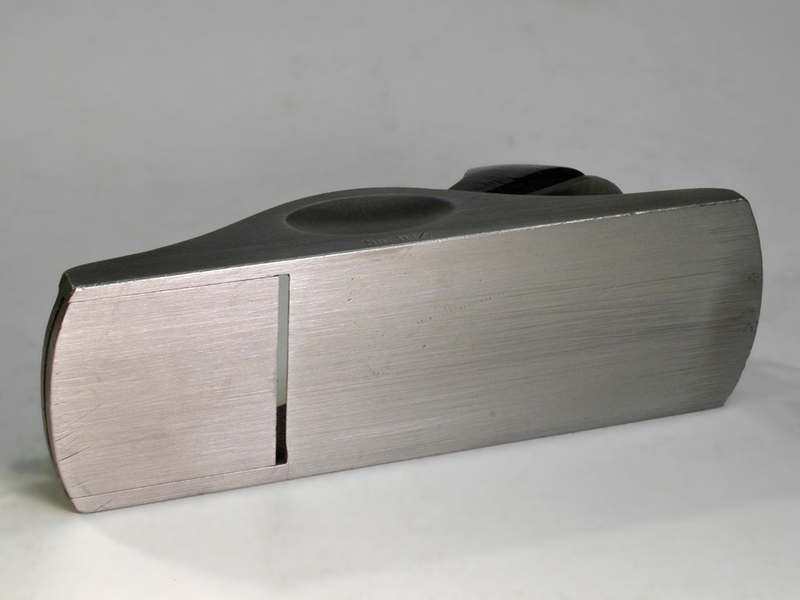 Using a mechanism similar to low angle blocks, the blade depth is adjustable via the rear knob. 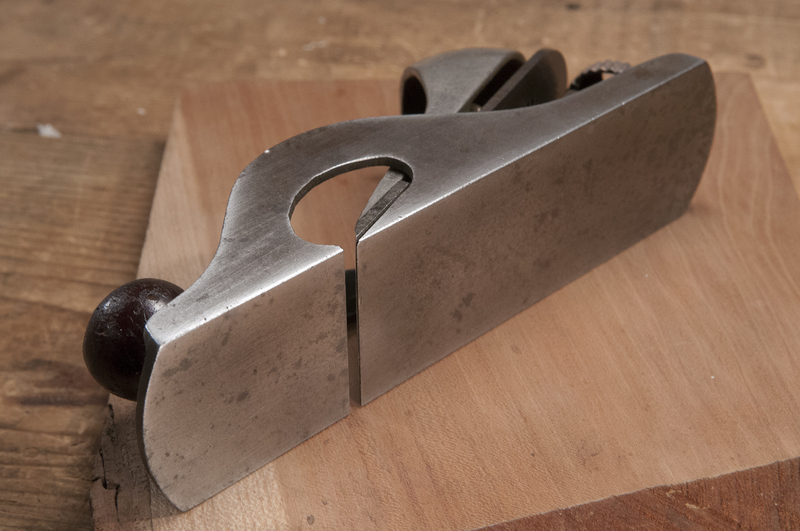 The throat is not adjustable, but for a rabbet plane this isn’t much of a handicap. 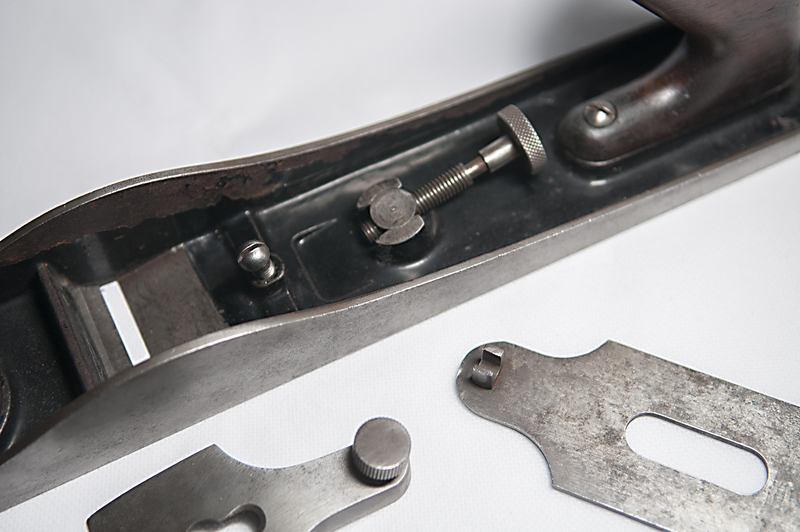 The front knob is mahogany, which looks very much like rosewood and is screwed into place via a steel screw that attaches to a raised boss at the toe of the plane.